"V/A -GROMBIERA & PAPRIKA LP"
Bea is Back! In search of label for new Record! We have a new 9-track LP "september 30" recorded, mixed and mastered and we are looking for a label to release it on Vinyl. Label should have good distribution in the US and Europe. 03.09.13 Sorry we are closed! 07.10.11 Bea is Back! In search of label for new Record! 17.11.10 Recording for a new 12"
16.07.09 Grombiere & Paprika Split 12 " OUT NOW! 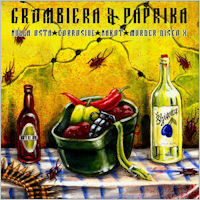 19.06.09 Grombiera & Paprika LP out July 18. 24.03.09 NAKOT joins 4-way split! 06.02.09 MURDER DISCO X have to cancel the gig on Friday, February 13. 27.01.09 Februaray 13. 2009: First gig with new lineup! 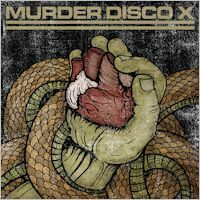 26.11.08 New MURDER DISCO X lineup! 22.07.08 Buy MDX mp3 online from www.cahdownloads.com. 25.03.08 Game's Over - Boycott the 2008 Olympics! 11.03.08 Is there Life beside MySpace? 06.03.08 What about new gigs?